Do you want all your results posted in one place? Do you want to be able to register for the next regatta with just a few clicks on your computer or smartphone? Do you want notifications of when the next event or regatta is posted online? nextSailor has the features to keep you informed about the next regatta. Features for Sailors Save time by managing your regatta registrations with the most modern and connected website available. Only put in your registration details once. Payment information is stored security to make registration faster. 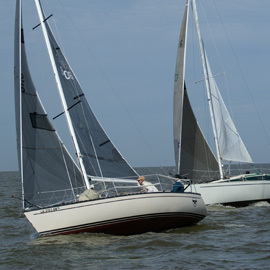 Get updates and notices based on distance, boat class, and/or club. Sometimes racers run the races. Use the same account to set up the regatta that you use to register.